Taringa Rovers home ground is Jack Speare Park, located at 108 Fairley St, Indooroopilly. The club is only 8 minutes walk from Indooroopilly train station. Parking is available at the TRSFC club house (accessed off Fairley St). 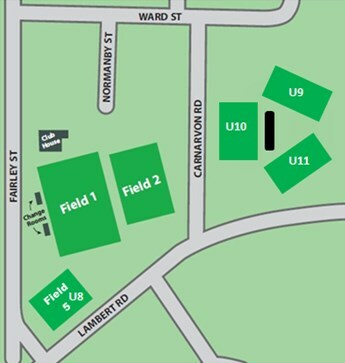 Field 1 Parking is also available on-street on Fairley St.
Field 2 Parking is also available on-street on Carnarvon Rd. High School Fields (U9-U11) Parking is available on-street on Carnarvon Rd and Ward St.